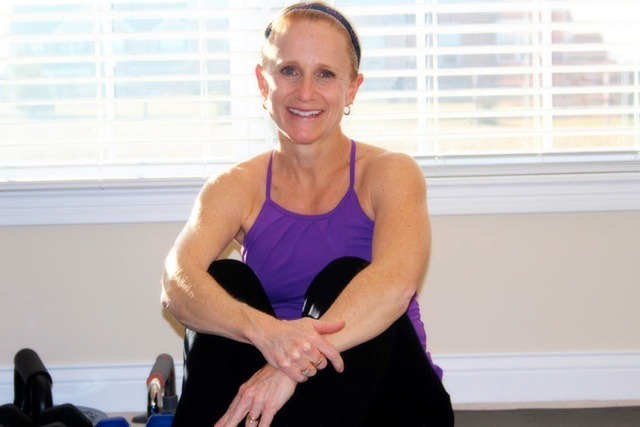 We are taking a quick break from Clean Eating this week for Part 2 of Jill Conyers Guest Post! Today Jill has all your answers to the questions you asked her earlier in the month. Thank you Jill for taking the time to answer all our running and fitness questions. If you didn’t get a chance, check out Part 1 of Jill’s Guest Post. Andrea’s readers submitted great questions that cover a variety of running topics. Whether you’re new to running or have been running awhile knowledge is progress and improved running performance. There are so many things I wish I would have known when I started running. If you can’t tell, I like talking about running as much as the running itself. 1. Strength. 2-3 days of consistent strength training every week. 2. Flexiblity. At least 1 day of yoga a week. The stress reducing benefits of yoga is a bonus. 3. Speedwork. At least 1 day of speedwork every week with a variety including intervals and tempo runs. Track intervals are my favorite type of training run! For more information on the benefits of speedwork check out Adding Speedwork to Training. 4. Stretching. After a run and almost nightly whether I’ve run or not. 5. Core Strength. Core strengthening exercises improve form and function for running. 6. Fueled to Run. Make sure you’re fueling your body with the quantity and quality it needs to support your level of activity. 7. Rest. 1 or even 2 (depending on your weekly mileage) total rest days every week can make the difference between just to training and fabulous and productive training. Question #2. I have done 3 half marathons up to this point using the run/walk method. I run between 4-8 minutes then walk 1 min. depending on where in the 13 miles I am and how good I am feeling. I want to boost the amount of running time. In addition to a couple halves I would like to get 1 marathon next fall. Now sidelined due to a torn meniscus. When I start training back up after my surgery what can I do to up my running portion? First and foremost take the time to fully recover from your injury. Returning to running too soon or trying to return at your pre-surgery distance and pace can cause you to reinjure yourself and/or prolong a full recovery. When you’re 100% recovered refer to the question below about increasing mileage. Question #3. Do you take supplements since you run long distances and lift weights? I lift weights 4-5 days a week and take supplements, but I want to start getting into running and run my first 5K in 2013. Will the supplements I’m taking (protein, bcaa) hinder my running? The supplements I take are not running specific. The vitamins I take and nutritional supplements (protein powder and Spirulina) are based on overall health and consultation with my doctor. With a diagnosis of Hypothyroidism and being relatively new to a vegan diet I consulted with my doctor (Internal Medicine) ensure the major change in my diet were not causing vitamin deficiencies. I take multivitamin, calcium, Vitamin D, and Flax Oil (vitamin) daily. I also use protein powder up to 2x/day and Spirulina several days per/week. While I’ve never heard of or read that protein supplements hinder running, consulting with a doctor will likely give you the information you’re looking for. Question #4. I’d love to hear her thoughts on the best way to build to a half marathon distance. I currently can run 3-4 miles without a problem, but I feel overwhelmed trying to increase that to 13.1! Feeling overwhelmed is to be expected. You’re asking your body to run more than 13 miles! 1. You need to have built a base. When I ran my first half marathon I found that most half marathon training plans assumed that you’ve built a weekly mileage base of at least 15-20 miles. Your longest run should also be at least 5 miles. 2. Choose a plan. There are unlimited books and online resources for half marathon training plans. Plans range from about 10-16 weeks. For my first my preference was the 16 week plan. The extra time ensured that I would have more than enough time to gradually build up to running longer distances and it gave me a little wiggle room for setbacks or interruptions in training. 3. Train with intention and purpose. To get the most out of your training runs use a variety of different types of runs each with a purpose. When I train for a race with the goal being pace I follow a plan that includes speed work on a track, tempo runs, and long runs. 4. Cross train. Add a few days of little to no impact exercises to maximize your running fitness. In addition to running, I strength train 3 days/week and, ideally, I’m able to add a day of yoga. 5. Find a running buddy or group! The motivation of not doing this alone is invaluable. You’re much more likely to commit and stick with training with the support and accountability of running friends. 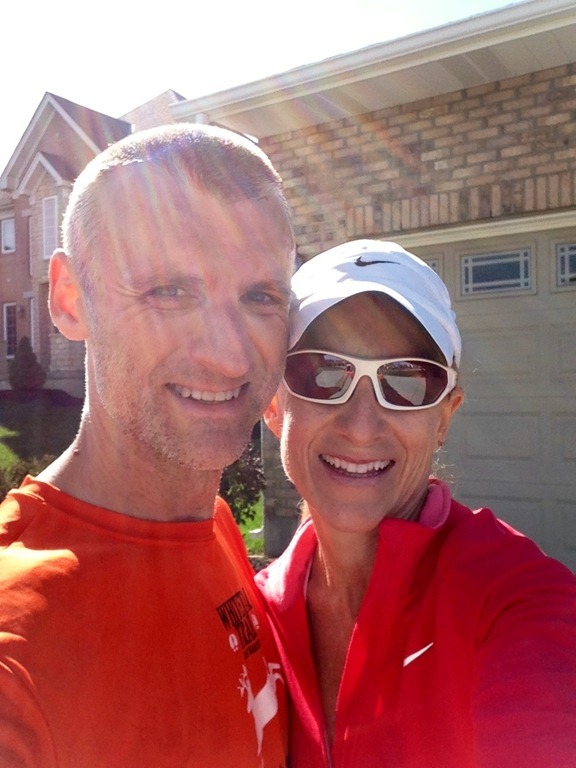 I’m fortunate to have my ultra-running husband as my running buddy. 6. Lastly, and quite possibly the most important for performance and reducing your risk of injury, rest! Your body needs time to rebuild and repair. Skipping rest days make it difficult for your body to recover and make you more prone to injury. Question #5. How many miles do you think you have run in your lifetime? Hmmm…about 9000 miles! I’ve been running about 6.5 years and I run about 800-1000 miles every year. In 2012 I ran 1081.5 miles and in 2011 I ran 833.88 miles. So, I’ve run approximately 8000 miles in the 6.5 years I’ve been running. Question #6. When did you start running and what motivated you? Blog link. I wanted to prove to myself that I was more than a wife and a mom. I started running in 2006 with the goal of running my first race, The Grape Stomp Half Marathon. I was inspired to start running by my husband running his first race and meeting Ultramarathon Man, Dean Karnazes. The motivation to continue is what I am teaching my kids by my actions and how running makes me feel invincible. Running makes me feel like I can do anything! Question #7. What challenges have you overcome in order to keep on moving? I overcame the frustration of being injured. The emotional frustration of not being able to run for an extended period of time and feeling like I was totally starting over when I returned to running was a mental and physical challenge. The mental challenge was the more difficult of the 2. Recovering from 3 non-running related surgeries in 2010 was a test of determination. I’d say I passed the test! I came back in 2012 to run 28 races including 1 ultra (31 miles), my first relay and 12 half marathons. Generally speaking, sometimes the day to day life of a mom of 2 very active teens and a wife that works full time presents challenges to consistent running and workouts. My family will always, undoubtedly, be my first priority. I determine my priorities and set goals to make everything else possible. Thank you Andrea for having me as a guest on your blog! I’m a wife, mom of 2, full-time psychologist, Swiftwick, FitFluential, Fit Approach and Girl Gone Sporty Ambassador that is passionate about running, plant-based nutrition, fitness and an overall healthy lifestyle. I believe living a healthy life is not about perfection. It’s about commitment, effort and progress! I am not a licensed nutritionist, dietician or fitness trainer. I’m simply a healthy and fitness enthusiast who enjoys sharing information, experiences and ideas. Views expressed in this article are based on my own personal research and experiences. Please consult your doctor with any medical issues, or before beginning a training program. This entry was posted in Races, Running and tagged beginning runner, cross training, jill conyers, running at a faster pace, running tips on January 17, 2013 by fromfltond.